Cycling in Cornwall is amazing. In addition to the Waterfront Trail along the St. Lawrence River, there are a number of established cycling routes available. The celebrated Waterfront Trail passes through Cornwall and Stormont, Dundas & Glengarry along the beautiful St. Lawrence River. The scenery and convenient accessibility attracts cyclists to the region from near and far. 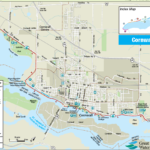 The Waterfront Trail is perfect for family cycle trips, with plenty to see and do along the way, including great food, beautiful public beaches, and awesome attractions such as Upper Canada Village in Morrisburg, Lost Villages in Long Sault and Cornwall Museum in Lamoureux Park in Cornwall. Cycle enthusiasts have created cycle routes throughout the region that are specifically designed with safety in mind and enjoyable for all levels of riders. The cycle map identifies routes ranging from 20 km to over 200 km. 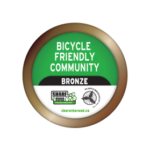 Many of the routes begin in the waterfront park in Cornwall which was recently named “cycle friendly.” At this point cyclists can decide on either the east or west routes, all primarily flat and along County roads with low traffic counts and wide paved shoulders. Each cycle route features free parking areas for day cyclists, along with great restaurants and quaint diners to fuel up for the rest of the ride. You will find cycle friendly accommodations throughout the region, with some having bike rentals available. They are ready to welcome you and take care of your overnight needs. With hundred of kilometers of picturesque, friendly, and flat cycle routes, Cornwall and the surrounding region is the perfect place to explore by bike. The City of Cornwall is pleased to offer an interactive cycling map for visitors to city. Click here to access it on your computer or mobile device. 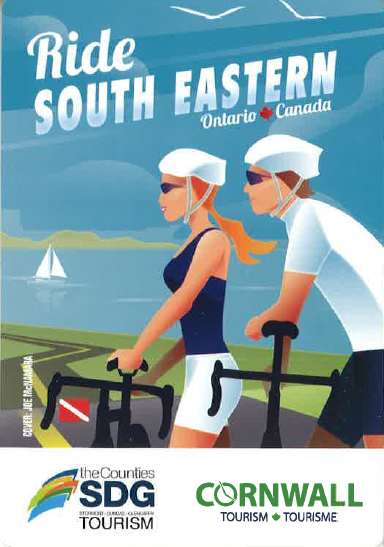 Pick up your free bilingual cycling map of Cornwall and the region by visiting Cornwall Tourism’s Visitor Information Centre, open year-round at the Cornwall Civic Complex, 100 Water Street East. You can also request a copy using our online Request Form. Our partners at the Waterfront Trail have also developed a number of cycling maps for the region which are easy to download as a PDF. Cornwall was proudly recognized as a Bicycle Friendly Community by the Share the Road Cycling Coalition in 2017.